One or the other day, all Exchange Server Administrators goes through the corruption issues of Exchange database. Corrupted Exchange database is similar to a trigger for a psychological breakdown the battlefield. The moment they come across such a situation, they insanely start unusual methods for recovering Exchange database. In fact, this is a common problem where admin faces the logical bugs called, User Mailbox Damage. Users’ mailboxes hold emails, contacts, notes, and other related information stored in a file named EDB file. To recover corrupt Exchange database should not be first step for an admin to save db, rather it should be the last one. Therefore, to keep users mailboxes safe, is the primary and most crucial thing for an organization because once if the Database will be damaged then users become inaccessible to it crucial data. One common reason for corruption of EDB files is the overloaded Exchange Server’s data repository as they are storing all data in a structured manner and when the database get full then a common error like “Jet Database Engine error”, “Edb.log errors” occurs. – Abrupt system Shut Down. If you have noticed we mentioned the common errors and reason why they occur. Depending on the degree of corruption within the database, it might not be possible to mount it to perform a traditional backup. A clean up process could be done before recovering. Backup Exchange Mailboxes: This is the first and foremost step that a user must perform before initiating any process. Probably, recovery procedure can lead to loss of mailbox components. It is highly recommended to take a backup of the mailboxes. Run inbuilt Utilities: To run Exchange tools globally on the Server to repair damaged Exchange 2010 database, During Exchange setup, several tools such as Eseutil and Isinteg are installed by default at “..\exchsrvr\bin” directory. 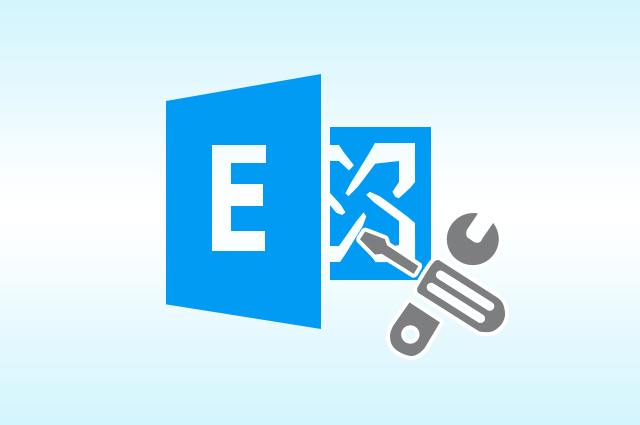 Exchange 2007 Mailbox Repair using Eseutil utility. You can perfectly fix, recover & restore Exchange 2007 mailbox to PST with complete whole procedure. Next type exe to Run Eseutil with p ‘Eseutil\p‘for danaged files. Use the administrative tools to mount the recovered EDB. Exchange 4.0, ESEUTIL was one of the go-to utilities for any administrator to get the damaged database, but the database now are of great size. The method is not applicable for a big EDB files. Repair corrupted Exchange 2010 & 2013 mailbox was the most common and most asked query that we were coming across. As the .edb file gets damaged, Server Admin will need an Exchange Database Recovery tool to recover users’ mailboxes from it. The outstanding features of the software make it a reliable, convenient, and output-driven. The provided manual, as well as Third party tool, would help Server admin to get enjoyable experience in the process to recover corrupt Exchange database.